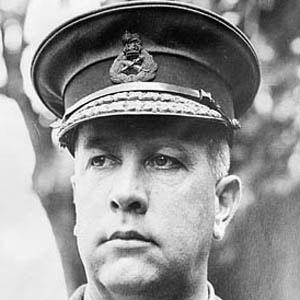 Canadian World War I General who commanded four divisions of the Canadian Expeditionary Force's Unified Canadian Corps. He worked as a public school teacher in British Columbia before pursuing a military career. He became Vice Chancellor of Montreal's McGill University in 1920. He was born in the town of Napperton, Ontario to William Garner Curry and Jane Patterson. He was born Arthur Curry and later changed the spelling of his last name. He became known for questioning the war orders of his British military superiors, and his dissent often reached Sir Douglas Haig, a high-ranking officer who supported Currie's alternate war strategies during the Hill 70 and Canal du Nord battles.